In this highly imaginative, delightfully absurdist comedy, Colin Farrell stars as David, a man who has just been dumped by his wife. To make matters worse, David lives in a society where single people have 45 days to find true love, or else they are turned into the animal of their choice and released into the woods. David is kept at the mysterious HOTEL while he searches for a new partner, and after several romantic misadventures, decides to make a daring escape to abandon this world. He ultimately joins up with a rebel faction known as The Loners, a group founded on a complete rejection of romance. But once there, David meets an enigmatic stranger (Rachel Weisz) who stirs up unexpected and strong feelings within him. Modern society often places an undue amount of pressure on single individuals to find romantic companions. From dating apps to mixers to matchmakers to constant calls from mom asking if you've found the right one yet, our contemporary mainstream culture has designated coupling as the ultimate norm to aspire toward. 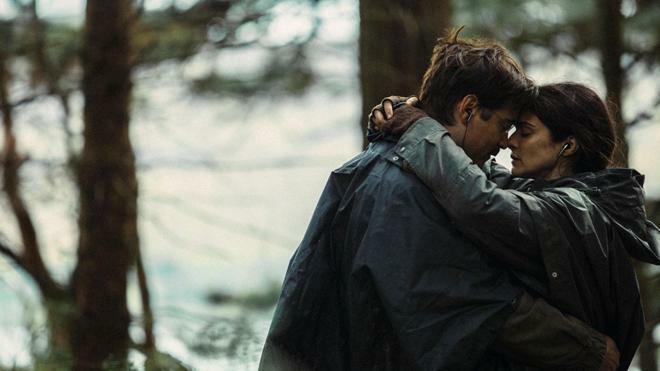 But regardless of how stressful searching for love can be in the 21st Century, we still don't have it anywhere near as bad as the characters in Yorgos Lanthimos' 'The Lobster.' After all, a bad date or a messy divorce are awful enough on their own without the added threat of being turned into a dog. A bizarre satire on love and relationships, the film examines the nature of coupling through the dry absurdity of a world devoid of passion. Set in a faintly dystopian future, the film focuses on a recently divorced man, David (Colin Farrell), who is required to stay in a hotel with other single people in order to find a new romantic partner. But if David somehow fails to secure a lasting match within 45 days, the poor man will be turned into an animal of his choosing -- in this case, a lobster. As his search continues to come up short, the desperate bachelor resorts to desperate measures, but will deception be enough to win over a suitable mate? Or is David merely destined for the sea? Marked by deadpan farce, Lanthimos employs a low-key tone of delicately awkward humor throughout the runtime, dissecting humanity's quest for companionship and the so-called necessity of coupling with sharp and inherently bizarre satire. Laughs are frequently drawn from the innate absurdity of the situations on screen, and the director's understated yet potent aesthetic lets the comedy and drama play out through long takes, quietly striking compositions, and key stylistic flourishes -- including a few notable slow motion sequences. Together, the script and imagery gradually form a fully believable and delicately strange world governed by an offbeat logic all its own. Run with stern precision, the hotel features a ridiculous set of strict rules that must be followed, forcing "guests" to all wear the same suits or dresses, watch skits related to the benefits of matrimony, undergo sexual arousal conditioning, and refrain from self-stimulation. Likewise, new arrivals must spend their initial time at the resort with one of their hands tied behind their backs. Why? Well, to learn to appreciate just how useful having a pair of something can be, of course. This utilitarian view on relationships is expanded upon even further as the narrative develops, revealing a world where romantic partnership seems to exist primarily for purely practical purposes -- like making sure you don't choke alone during meals. In essence, "love," as we typically define it, doesn't even seem to really be a factor in this world. Matches are purely a necessary mandate of society. But that doesn't just mean that anyone can simply shack up with anybody. There are rules, after all, and much like in the real world, the characters look for people who they share something in common with -- a standard tactic of dating that the director goes on to sharply lampoon. Devoid of outward passion, the citizens of Lanthimos' dryly satirical future don't appear to have actual personalities. Instead, they have "defining characteristics" -- limps, short-sightedness, nosebleeds, silky hair, or nice smiles. And with the threat of being turned into a lobster ever present, any shared attribute will pretty much do. Through intentionally monotone delivery, stilted dialogue, and oddly blunt conversations, the characters go through the motions of their clinical courtship, painting a sardonic and occasionally unsettling picture of romantic pursuit. From a performance perspective, this deliberately mannered and oddly wooden acting style becomes one of the film's most potentially divisive choices -- and it's one I sometimes questioned myself. On the one hand, the characters' dull intonations and mundane, matter-of-fact interactions work well to underscore the film's commentary on dating pressures and its effects on passion and loneliness. Likewise, these odd exchanges fuel much of the movie's deadpan sense of humor. But, on the other hand, there are times when all of the delicately weird behavior and dialogue just starts to feel weird for the sake of being weird, growing a bit tiresome without really adding anything to the movie's larger commentary. Similarly, though much of Lanthimos' examination of relationships ends up yielding potent farcical observations, there are certain stretches and plot points that seem rather muddled, superficially strange, and contradictory -- causing some aspects of the satire to clash with others while ultimately making it a bit difficult to really draw cohesive meaning from the story. In contrast, I found one of the director's previous, perhaps even stranger films, 'Dogtooth,' to be more adept at balancing its peculiar satire with purposeful commentary on society and human behavior. Of course, there are still elements of successfully thought-provoking ambiguity here, tying the different threads together well enough to leave a lasting, albeit slightly vague impression. Wholly unique and wonderfully offbeat, 'The Lobster' is a frequently sharp and unconventionally funny satire on dating, attraction, loneliness, and companionship. While elements of the director's vision are a bit jumbled and inconsistent, the film's examination of relationships eventually tackles thought-provoking concepts tied to sacrifice and selfless affection. Lanthimos initially strips love of all its passion, only to slowly reconstruct its beating heart through an evolving tale of unusual romance -- one told in a world where all anybody really wants is an extra hand to rub ointment on their back. And if that isn't true love, I don't know what is. 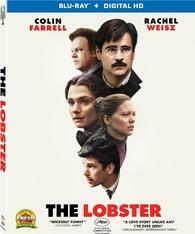 Lionsgate presents 'The Lobster' on a BD-50 Blu-ray disc housed in a keepcase with a cardboard slipcover. Instructions for an UltraViolet Digital Copy are included as well. After some skippable trailers, the disc transitions to a standard menu. The packaging indicates that the release is region A coded. The movie is provided with a 1080p/AVC MPEG-4 transfer in the 1.85:1 aspect ratio. Stylistically strong and technically proficient, the film looks quite good on Blu-ray. Shot on the Arri Alexa XT, the digital source is mostly pristine with only a light to moderate sheen of grain-like noise visible in some shots. Clarity is very strong, offering a pleasing layer of fine details and textures, highlighting various patterns on hotel carpets, tiny ripples in water, and a multitude of cascading leaves in the forest. Depth is also impressive, especially in outdoor scenes, offering life-like dimension in the director's many carefully composed, wide-shots. Colors veer toward a slightly desaturated look, often marked by an intentionally cool cast or yellowish/green tinge along with splashes of more vibrant hues in select scenes. Contrast is mostly well balanced, though blacks are just a hair elevated and faintly muddy in dark scenes. While the film's intentional style isn't always appealing from a traditional standpoint, the image is sharp and authentic, preserving the director's intended aesthetic nicely. The film is presented with an English DTS-HD MA 5.1 track, along with optional English SDH and Spanish subtitles. Subtle but thoughtfully designed, the mix offers a quietly absorbing experience. Speech and narration are clear and well prioritized with no balance issues or technical quirks. The overall soundscape is delicately immersive, extending appropriate ambiance around the room. Birds, wind, and other nature effects create a gentle yet convincing environment in outdoor scenes, with solid surround use and directionality for specific sounds. A brief storm carries a marginal kick of LFE activity, but by and large this is an intentionally subdued track. Occasionally dramatic music cues come through nicely, however, with strong range and commanding presence. The track is not always particularly lively but the sound design proves to be rather enveloping when it needs to be. 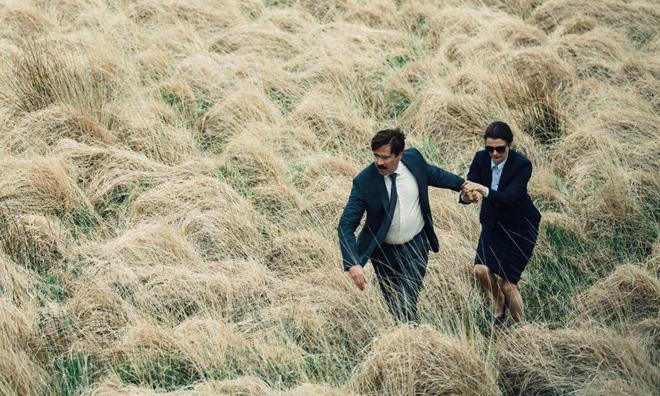 Yorgos Lanthimos' 'The Lobster' offers a decidedly offbeat look at love and relationships. Through its peculiar satire, the film examines societal pressures tied to coupling with unconventional humor and sharp insights. The video and audio presentations are both strong, providing a great technical experience. Sadly, we only get one supplement, but the included behind-the-scenes featurette is worthwhile. The film's odd tone certainly won't be for everyone, but for viewers who like the stranger side of cinema, this is disc is recommended.